“By common endeavour we can raise the country to a new greatness, while a lack of unity will expose us to fresh calamities.” These pragmatic but profound remarks defined the vision and the sterling character of Sardar Vallabhbhai Patel, the principal unifier of modern India. Sardar Patel’s foresight and tactful navigation of the most turbulent period in post-Independence, and the resolve he demonstrated in integrating the more than 500 disparate princely States into the Dominion of India is an unparalleled accomplishment in modern history. China, Iran’s biggest oil importer, is still in the dark about a possible sanctions waiver. President Trump appears to be excited about the imposition of a second round of sanctions on Iran that had been lifted as part of the United States’ participation in the 2015 Joint Comprehensive Plan of Action. 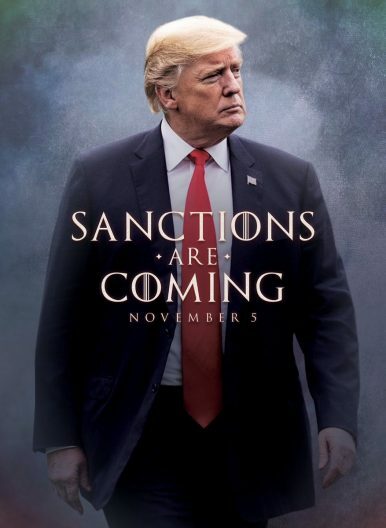 At least that’s the impression given off by the president tweeting a stylized image, referencing the popular prestige television drama Game of Thrones, noting that “sanctions are coming” on November 5. Indeed, on November 4, at 11:59 p.m. U.S. eastern time, the second 180-day wind-down period put in place by the U.S. Treasury Department will come to an end and onerous sanctions on Iran’s port operators, shipping sector, petrochemical and energy industries, and foreign financial transactions will take effect. The sanctions have been opposed by the other participating parties in the JCPOA, including the European Union, Russia, and China. The Trump administration, however, has also decided to grant eight allied and partner countries with significant energy trading relationships with Iran waivers to the new sanctions that are set to go into effect. On Friday, U.S. Secretary of State Mike Pompeo announced that several states would receive waivers, without naming them.Enjoying this article? Click here to subscribe for full access. Just $5 a month. According to local reports, the countries that appear to have been informed of waivers include South Korea, Japan, and India, among others. The official list of countries that have received waivers will be released on Monday as the new sanctions take effect. The European Union, notably, is not expected to receive a waiver. The waivers may be temporary and time-delimited to allow these states to lessen their reliance on Iranian oil. An Economic Crisis in Pakistan Again: What’s Different This Time? Pakistan’s newly-elected government is already dealing with a balance of payments crisis, which has been a consistent theme for the nation’s newly elected officials. Pakistan’s structural problems are homegrown, but what is different this time around is an added component of Chinese debt. Pakistan is the largest Belt and Road (BRI) partner adding another creditor to its already complicated economic situation. Pakistan’s system is ill-equipped to make changes which would avoid future excessive debt. A bailout from the International Monetary Fund (IMF) is probably the safest bet for the country although it is unclear whether the United States will support the program. How Pakistan decides to handle its debt crisis could provide insight into how the U.S., IMF, and China will resolve development issues in the future. Beijing is a relatively new player in the development finance world so much is to be learned from how it deals with Pakistan and how it could possibly maneuver in other developing countries in Asia, Africa, and Latin America. On Friday, Sri Lankan President Maithripala Sirisena withdrew his United People’s Freedom Alliance from the government’s ruling coalition without warning, fired Prime Minister Ranil Wickremesinghe, and appointed former President Mahinda Rajapaksa to the post. On Saturday, he temporarily suspended Parliament, plunging the country into a constitutional crisis. Sri Lanka’s sudden political reorganization will empower the former strongman Rajapaksa, whose new party enjoyed unexpected success in the country’s February local elections and rattled the political establishment. His resurgence means a second chance for China’s attempts to play a dominant role in the island’s politics and development, and it serves as a significant impediment to U.S. efforts for greater engagement in the Indo-Pacific. In September, the European Union released a new strategy on “Connecting Europe with Asia” as its principal guidelines toward connectivity between the two continents. 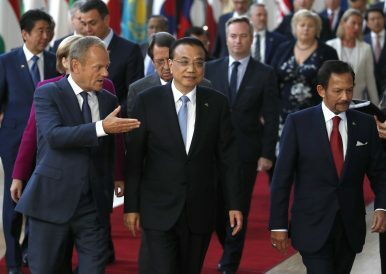 It has been without doubt that for a long time now, the EU has been hoping to work toward an effective response to the Chinese-led Belt and Road Initiative (BRI), launched five years ago but defined in the guiding document “Vision and Actions on Jointly Building Silk Road Economic Belt and 21st-Century Maritime Silk Road” (referred to hereafter as the “BRI Vision and Action Plan”), released in March 2015. The current focus on China's expanding influence, conventional forces, missile forces, emerging ASAT and cyber capabilities, and its role in the South China Sea, has led much of the analysis of Chinese military developments to ignore key uncertainties. This includes China’s stockpile of nuclear weapons, and the fact that China is developing all the elements of a far more advanced Triad along with improve theater delivery systems and missiles defenses. What used to be a U.S-Russian strategic and theater nuclear arms race is now radically changing, and the nuclear balance, arms control, and the risk of actual nuclear warfare between the superpowers is becoming a contest between three superpowers and not just two. China steps up preparation for war — with whom? 1. Fundamental weaknesses in the conceptualisation of China’s external relations, especially President Xi Jinping’s Belt & Road Initiative, suggest that growth of Chinese maritime and sea power in our region will fluctuate over time. Firstly, established and aspiring powers will find greater reason to cooperate, and align against China. Note the relative fates of Quad 2008 and Quad 2018. 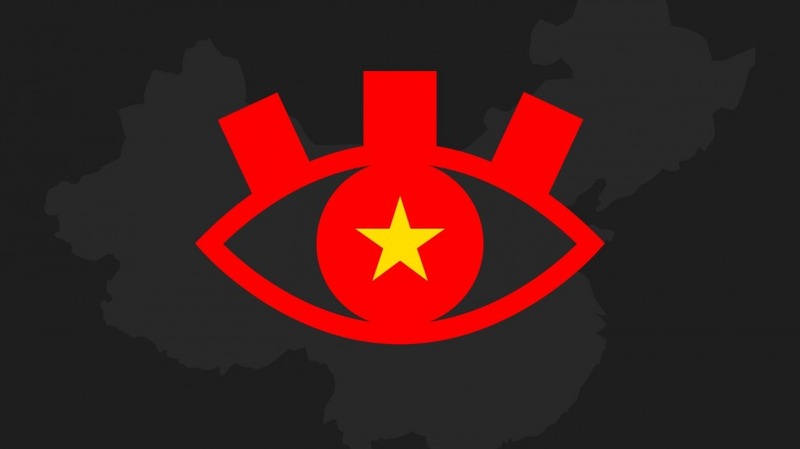 Secondly, nationalist backlash from countries inside China’s bandwagon. Post-Hambantota, Zambia and Tajikistan even Pakistan is worried. History tells us that power projection precedes understanding; so is it with China. Reversal of Deng’s formula – stable & institutionalised party rule, high economic growth and greater openness to the world – is taking China Maowards. Trade war will hurt the bases of Chinese growth. The countries that China is spending money on as part of BRI won’t be able to substitute the US as an economic partner. Quite the contrary. A recent New York Times report alleged that Chinese and Russian intelligence agencies regularly monitor U.S. President Donald Trump’s calls on insecure mobile devices. According to the report, China has been using the information gleaned from Trump’s conversations to attempt to influence his approach to the trade war through figures such as U.S. billionaire Stephen Schwartzman, with whom the president talks regularly. Beijing has denied the report, with Foreign Ministry spokeswoman Hua Chunying suggesting that if the president wanted security, he should switch to China’s Huawei brand instead of the iPhone. Foreign Policy talked to Peter Mattis, an expert on Chinese influence programs, research fellow at the Victims of Communism Memorial Foundation, and former China analyst at the CIA, on just what Beijing might be looking for in the president’s calls. Foreign Policy: Which agency would be listening into Trump’s calls? The shocking allegations of Jamal Khashoggi’s killing and dismemberment in the Saudi Arabian consulate in Istanbul have led to a rare open debate among politicians, pundits, and business leaders about the strategic wisdom of U.S.-Saudi relations. When the debate subsides, however, it’s unlikely to have transformed America’s long-standing relationship with Saudi Arabia, and the Gulf kingdom’s regional allies, in any substantial way. The reason is simple: geography—more specifically, the U.S. military’s peculiar relationship to it. For decades, the United States has professed several vital (and lesser) national interests in the Middle East. These interests include assuring the free flow of oil and natural gas, preventing the proliferation of weapons of mass destruction, preventing the emergence of ungoverned areas that terrorist organizations can utilize, containing Iran, and enhancing the capacity of regional militaries to defend their own territory. Following the politically motivated shooting in Pittsburgh and the mailing of pipe bombs to political officials and journalists across the country, public outcry has risen against social-media companies. Suspected pipe-bomber Cesar Sayoc and Pittsburgh shooting suspect Robert Bowers used various platforms to post content indicating their potential for ideological violence. Some have asked why social-media companies didn’t do more, sooner, to stop the threat. It’s a question that Facebook, Twitter, YouTube, and others have faced before, going back to 2014 when the problem was content from extremists of a different sort: violent jihadist groups such as ISIS. Since withdrawing in May from the 2015 Iran nuclear deal, known as the Joint Comprehensive Plan of Action (JCPOA), Trump has been looking for ways to turn up the pressure on the Iranian regime. On November 4, US sanctions on the country’s vital oil industry will go into force. And the administration wants to go even further, by imposing secondary sanctions on other countries with the goal of shutting Iran out of the dollar-based global economy entirely. BRUSSELS — The European stage Angela Merkel commanded for so long and so effectively may be cracking, if not collapsing. She has been the poster woman for Europe’s democratic center, but the center is imploding. She and Germany have been a symbol of stability, but now even Germany is seen as politically unstable. But the prospect of her departure — she announced this week that she will not run for another term as the German chancellor — has nonetheless created a degree of panic at the core of the European Union. Ms. Merkel may be becoming more unpopular at home, and her influence over others may be waning. But to those who believed — and worked for — the dream of an ever-closer union, Ms. Merkel was considered fundamentally reliable, decent and committed to Europe and its values. She stood as a bulwark against the strutting populists who now run countries as varied as Italy, Hungary and Poland. Putin's Game: Did Russia Win in Syria? Putin is leveraging his country’s strengthening position to gain credibility within the international community and challenge America’s role as the regional hegemon in the Middle East. As the end of the military phase of the Syrian conflict appears to be in sight, American policymakers would do well to reflect on how much has changed within the war and on the international stage since 2011. The conflict has pulled Iranian-backed troops within miles of Israel’s borders and has seen a direct clash between Russians and Americans. A look at the current situation in Syria confirms that the United States failed to meet a key objective in its initial involvement: removing ruler Bashar al Assad from power. Facing a military and political loss in Syria, the United States should now do what it can to salvage a humanitarian win. To accomplish this, the Washington must work with Moscow, the only actor with a strong influence on the Assad regime that may be willing to listen. To do so, America must be willing to recognize Russia’s strengthening role in the international community and deal with it as an equal partner in certain cases. Ukraine and the International Monetary Fund (IMF) recently announced a staff-level agreement on a new $3.9 billion stand-by arrangement through end-2019, replacing the current extended arrangement. The IMF’s relationship with Ukraine has always been among its most high-profile and difficult interactions. The United States and Europe have consistently encouraged the IMF to remain engaged in Ukraine, viewing this as a means of laying a foundation for greater market orientation, integrating Ukraine with the West, and diminishing Russia’s regional influence. Russia’s invasion of Crimea and the Donbass reinforced these views, and they will surely hold in the future. Though the IMF has spared no effort, the relationship cannot be viewed as a success. According to IMF data, there have been nine programs since 1995, and only one of them disbursed in full—in the mid-1990s. With a new bill that expands sanctions on Russia circulating within Congress, it is clear that the United States will continue to rely on sanctions as a primary tool for confronting Russia. It is less clear, however, what the many sanctions imposed since 2012 have done to change Russian behavior. Not all sanctions are created equal, and if poorly designed and implemented, sanctions can bring problems as well as benefits for the United States. Q1: What are the objectives of U.S. sanctions against Russia? A1: The objectives of U.S. sanctions against Russia are varied but generally fall into one of two categories: sanctions that aim at specific changes in Russian behavior and sanctions that seek to impose costs without being linked to a specific policy outcome. When it comes to relations between Donald Trump’s America, Vladimir Putin’s Russia, and Xi Jinping’s China, observers everywhere are starting to talk about a return to an all-too-familiar past. “Now we have a new Cold War,” commentedRussia expert Peter Felgenhauer in Moscow after President Trump recently announced plans to withdraw from the Intermediate-Range Nuclear Forces (INF) Treaty. The Trump administration is “launching a new Cold War,” said historian Walter Russell Mead in The Wall Street Journal, following a series of anti-Chinese measures approved by the president in October. And many others are already chiming in. The leadership duo of Xi Jinping and Li Keqiang sought to assuage growing concerns about the economy this week. In a letter to entrepreneurs, Xi lauded the private sector for its poverty alleviation work, adding that “the sector’s position and role is beyond any doubt. Any opinions or actions that deny or weaken the private sector are wrong.” Xi, thereby, pledged his “unwavering” support for the private sector. The sentiment of the “two unwaverings” was also echoed across Party-state media, as this Bloomberg report informs. Read all this along with recent remarks by Vice Premier Liu He and a statement by the State Council. TOKYO -- "Welcome to our bank!" chime the three uniformed clerks as customers enter Mizuho Bank's branch in Tokyo's Tanashi neighborhood. The friendly, highly experienced clerks stand ready to help customers fill in the various forms required to open an account, make a large withdrawal, transfer funds or take out a loan. Even in the digital age, such tasks can require plenty of time-consuming paperwork. To confirm their identity, customers are also required to present a hanko, or personal seal. Once the forms are filled out, the customers take a paper ticket and wait for their number to be called by one of the handful of tellers sitting behind the counter, who handle simple requests on the spot. More complicated jobs are handed over for processing by a dozen or so other clerks sitting behind them. The delivery of the report was mandated by Congress in the 2018 defense authorization bill, but the final product had been delayed for months as the Pentagon carried out its study of various weapons systems that might be capable of being modified to fit the bill. A congressional staffer confirmed that the report has finally arrived on the Hill. The briefing is classified but the likeliest indication of what’s in it is an unreleased report by the Joint Staff and Strategic Command that identified four roads for developing a missile capability that falls within the 500 km to 5,500 km range currently banned under the treaty. The report was obtained exclusively by Breaking Defense. There was the revenge taken in their hour of triumph by those who had in the past been arrogantly oppressed instead of wisely governed; there were the wicked resolutions taken by those who, particularly under the pressure of misfortune, wished to escape from their usual poverty and coveted the property of their neighbors; there were the savage and pitiless actions into which men were carried not so much for the sake of gain as because they were swept away into an internecine struggle by their ungovernable passions. To win in the hyperscaler market, tech vendors must take an entirely new approach. Spending on data centers rose by 20 percent in 2017. The entire supplier landscape and IT value chain have felt the effects of this explosive growth, which has been quite lucrative for suppliers of data-center components, such as storage, memory, servers, networking, power, cooling, and peripherals. But the suppliers’ journey hasn’t been easy—many have had serious difficulty addressing this new, concentrated, and episodic demand from a few huge customers. To meet their needs, successful suppliers have dramatically changed the way they approach R&D, manufacturing, and sales. WASHINGTON: The Homeland Security and Defense Departments don’t expect a significant cyber attack on next week’s elections. But both agencies are eager to avoid a repeat of 2016, so just in case, military Cyber Protection Teams are on standby and able to respond “within hours,” a senior Pentagon official told reporters. Many of the challenges of urban warfare are not new; nor, unfortunately, are the options soldiers have to confront these challenges. The US Army has a long history of fighting in cities and its tactics, techniques, and procedures have been refined mostly from the hard lessons of World War II and the evolution of close-quarters combat that occurred following the failed 1972 rescue attempt during the Munich Olympics. 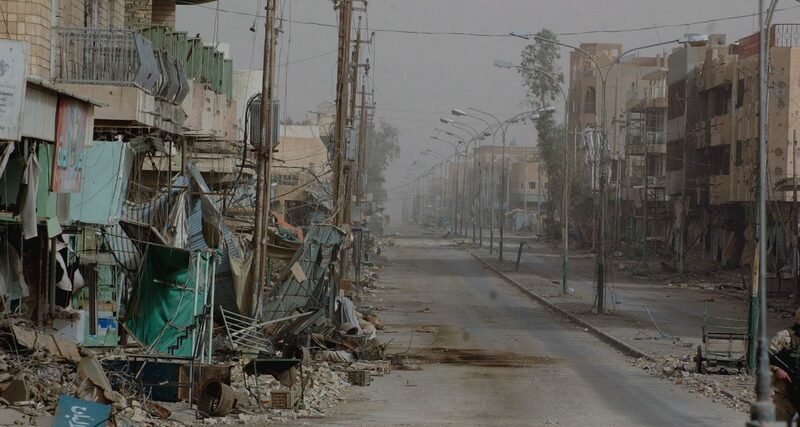 Furthermore, urban warfare poses a set of challenge that is not going away. Gen. Mark Milley, Army chief of staff, and Gen. Stephen J. Townsend, commander of US Army Training and Doctrine Command, frequently emphasize the need to prepare the Army for combat in densely populated urban areas. At the most basic level, however, it is clear that there remain an obvious but neglected tactical problems in city fighting that the US Army needs to contend with. In recognition of the period of rapid technological change through which we are living and the challenges this change creates for today’s Army, the Army is taking a number of steps to make sure that it has the people, ideas, and material to succeed. From the establishment of a new cyber branch to the standing up of Futures Command, the Army has demonstrated a commitment to addressing the problems and seizing the opportunities presented by an increasingly networked world. However, if we can characterize the time in which we live as one of rapid technological change, it is also one of strategic uncertainty unlike anything seen since the onset of the Cold War. Revisionist powers like China and Russia are rewriting the boundaries of their neighbors by force while regimes in Tehran and Pyongyang destabilize their respective regions. In the face of such an array of strategic challenges, is the Army preparing itself to provide the people and ideas needed to succeed in this complex new century?